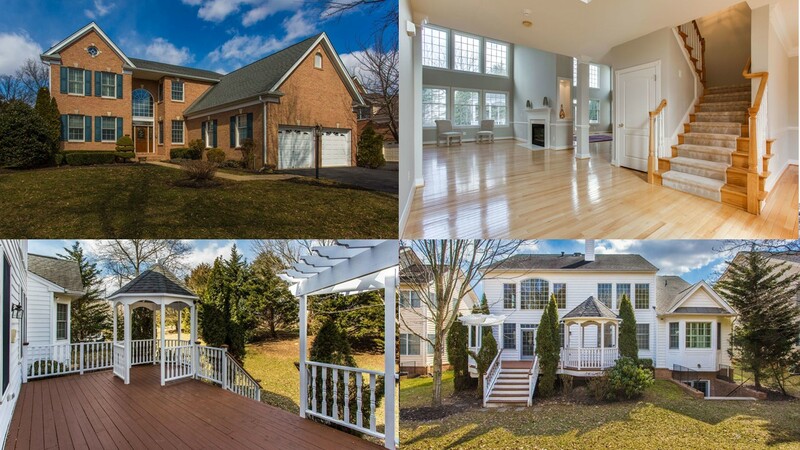 Open House 3-31-19 from 1-4 PM ~ 5728 Solheim Cup Dr.
Come view this first floor master model in gated Dominion Valley Country Club in Haymarket VA. Open House Sunday, March 31 from 1-4 PM. This home boasts over 3300 sq. ft. on main and upper level. Backs to private yard with golf course beyond! Plenty of natural light floods this home. Hardwoods on main level, main level master suite. Expansive views from upp level loft. Two additional spacious bedrooms with two full baths! Deck and gazebo where you can enjoy your morning beverage with plenty of room to entertain your guests. Walking distance to outdoor pool, tot lot, sport courts. Dominion Valley is a Arnold Palmer Signature Golf Course master planned community with 2500 homes and many amenities. Four schools reside on the grounds of the neighborhood. Shopping, health care and major commuter routes nearby. Enjoy our Lifetime of Saturdays! Click Here for virtual tour of this fabulous home!